Juvenile Ball at the Mansion House. 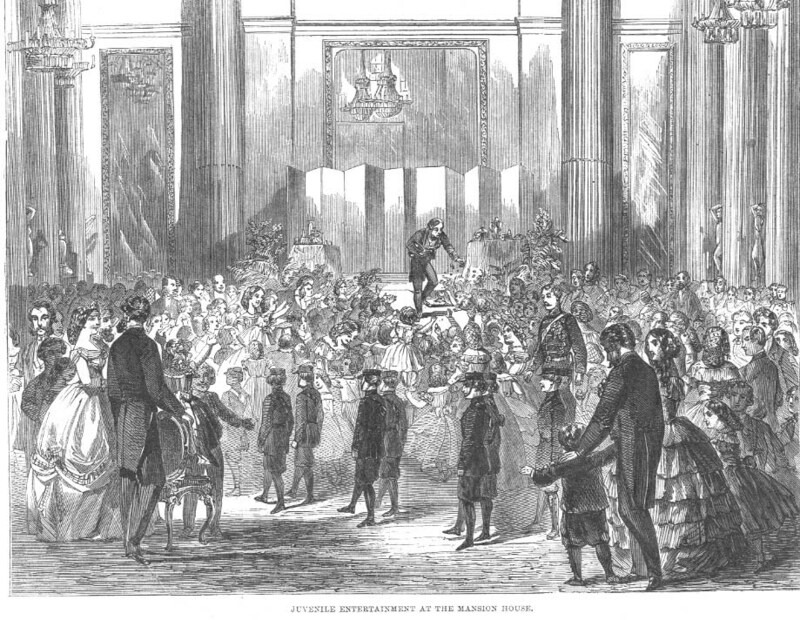 On the evening of Tuesday week the Lady Mayoress entertained a juvenile party at the Mansion House. The company, between 600 and 700 in number, included the members—from the ages of six to sixteen—of the families of the Courts of Aldermen and Common Council, of the principal officers of the Corporation, and of many of the private friends of the Lord Mayor and the Lady Mayoress, accompanied by the parents in most cases. An interesting series of stereoscopic productions was exhibited in the saloon and drawing-rooms. The cadet corps of the London Rifle Brigade, under the charge of Messrs. Ladd and Cuthbert, their instructors, lined the entrance and staircase on the arrival of the guests, and were afterwards marched round the Egyptian Hall. Twelve of them, chosen by ballot, were subsequently invited by the Lady Mayoress to share in the entertainments. The remainder of the evening was spent in dancing, in the Egyptian Hall, to the music of the band of the Coldstream Guards, conducted by Mr. Godfrey. At ten o'clock supper was served in the ballroom, after which the dancing was resumed and continued for sometime.